My news - in brief. I am busy writing the first draft of a novel I hope to be the first of a series. You can contact me with feedback about my website through my contact page. 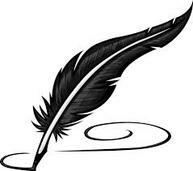 I am currently working on a novella of short stories. This novella is set in its own universe so there is a bit of world building going on. This takes a bit of time and energy. One of my works in progress. I try and fall back on this when I hit a wall. Another of my works in progress. I am almost finished editing a manuscript. It has been tough going. As I am a voracious and ardent supporter of fellow writers, I am likely to appear at many events in and around Moreton Bay. If you are also attending these events, please come and say hello to me.